The "Main Bhi Chowkdar" campaign was the BJP's comeback to Congress jibes that used the phrase with which PM Modi had described his battle against corruption ahead of the 2014 elections. Addressing the security guards via audio, PM Modi stepped up his attacks on the Congress. Prime Minister Narendra Modi, interacting with 25 lakh "chowkidars" or security guards today as part of his new campaign ahead of next month's national election, "apologised" to the group for the "chowkidar chor hai (the watchman is a thief)" phrase often used by Rahul Gandhi to target him on the Rafale jet deal. The Congress president's repeated use of the phrase while accusing PM Modi of corruption and crony capitalism in the 36-jet deal inspired the BJP's fightback in the form of the "Main Bhi Chowkidar" campaign. "I apologise to all chowkidars that some people, for their own interests, have been abusing chowkidars and saying chowkidar chor hai, raising questions about the integrity of the chowkidars of the nation," PM Modi said in a direct attack at Rahul Gandhi's allegations. With remarks like "my work is to be alert 24X7 like you," the Prime Minister sought to underscore his image of a guard or crusader against corruption. Addressing the uniformed security guards via audio, PM Modi said: "The way chowkidar chor hai has been repeatedly said to insult you, it has hurt you...No matter how much they insult us calling us chor, we don't have to be afraid and we should embrace such insults like ornaments." 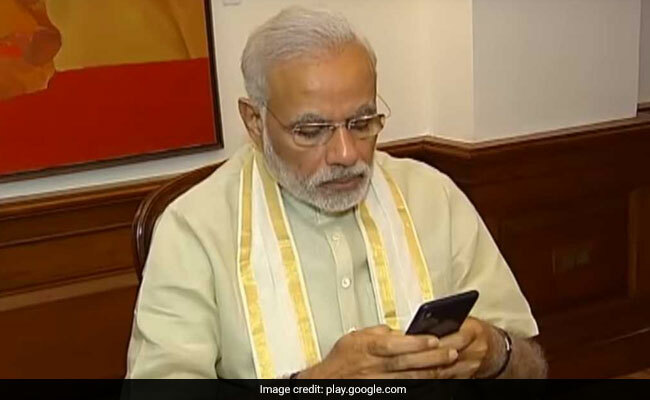 PM Modi launched the "Main Bhi Chowkidar" campaign on Sunday, adding the prefix to his Twitter account. On cue, several BJP leaders did the same; by now there is hardly a prominent BJP account without Chowkidar before a name. The campaign is a runaway hit, said the BJP, and the hashtag was tweeted 20 lakh times. The opposition, including Congress chief Rahul Gandhi and his sister Priyanka Gandhi Vadra, Trinamool Congress leader Derek O'Brien and Samajwadi chief Akhilesh Yadav, has scoffed at the campaign. They accuse the PM of using the campaign to distract focus from the lack of jobs and farmer crisis. Patidar quota campaigner Hardik Patel - a new Congress recruit - hit back with a new prefix "Berojgar" (unemployed), which was also lapped up on Twitter.